What Credit Card Should You Use With Uber? 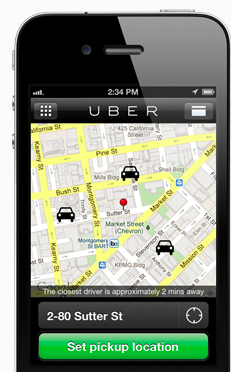 Uber is a great travel app where you can request a car and it will be there within minutes. When it comes to what credit card you should be using when paying for Uber, this is a very simple one. You should be using the Chase Sapphire Preferred card for a couple reasons. The main reason is because they classify Uber as a travel provider, which gets you double points, so you would be earning 2 points for every dollar spent with Uber. On top of that, Uber is great abroad, such as in Paris, where it’s impossible to get a taxi sometimes, and with the Sapphire Preferred there are no foreign transaction fees, so all around I don’t really see many other cards giving the Sapphire Preferred a run when it comes to Uber purchases. The Chase Sapphire Preferred, is currently offering a sign-up bonus of 40,000 points after you spend $3,000 spend in the first 3 months and the $95 annual fee is waived the first year.